After Egypt received backlash from European countries for its laws regarding terrorism, the death penalty and human rights, President Abdel Fattah El Sisi responded by emphasizing that the western countries should not “impose their views” on Egypt, Ahram Online reported. 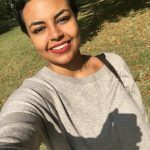 The statement was following a question by a German journalist who asked El Sisi how he feels the about the EU’s criticism of Egypt’s human rights record. “Let me tell the reporter, that the priority for you as European states is to achieve welfare; our priority is to preserve our countries and protect them from fall, destruction, and collapse,” El-Sisi said. This came in light of a recent incident when Egypt executed 15 people in February who were charged with the murder of Egypt’s top prosecutor in 2015, a judge’s son in 2014 and a police officer in 2013, a verdict that many human rights activists including the Office of the UN High Commissioner for Human Rights (OHCHR) have deemed unfair. “You speak about death sentences…we appreciate this, but we urge you to not impose anything on us. When a person is killed due to a terrorist act, their families ask us to get their children’s rights, and this is the culture of our region. This is a right which is achieved through law…You want to teach us? You won’t teach us our humanity,” El-Sisi added. 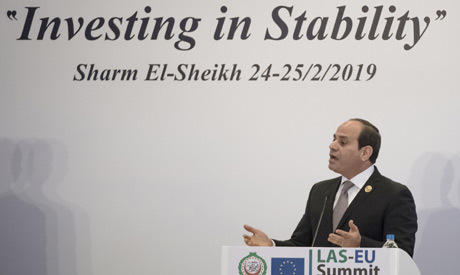 Egypt’s president highlighted that Europe should assess the regional situation “comprehensively” and take into account the “big challenges” Egypt is facing. “What took place represents the philosophy and concepts of human rights…while being spread on both the European and Arab sides. No one has touched on any country’s human rights practices,” Aboul Gheit, the Arab League’s Secretary-General added. 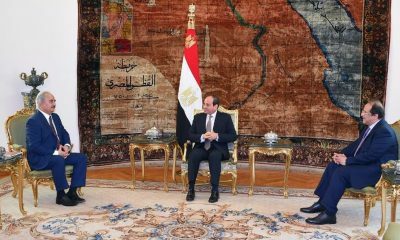 On the first day of his trip to Egypt last January, French President Emmanuel Macron said that the human rights situation is perceived as tougher than under Mubarak, and that it threatens the country’s stability, Reuters reported. “I think current policies are perceived by intellectuals and Egypt’s civil society as tougher than under the Mubarak regime,” Macron told reporters on the sidelines of a trip to Egypt. “I can’t see how you can pretend to ensure long-term stability in this country, which was at the heart of the Arab Spring and showed its taste for freedom, and think you can continue to harden beyond what’s acceptable or justified for security reasons,” he added.